I wrote about the new HBO series a while ago. After watching first two episodes, I became very interested in the story and decided to read the novel on which the series is based. The story is set in contemporary America. Life goes on normally until an event that will later come to be referred to as Rapture. On one Autumn day millions of people inexplicably vanish into thin air. The event is estimated to have touched about 2% of people worldwide and there doesn't seem to be any logical pattern. It's just as if all those people were somehow chosen randomly to disappear. Why? Where? Was that a divine act of salvation or damnation? Or perhaps the people that are left behind are those that have been damned and deemed not worthy of ascension into Paradise? These seem to take over the minds of survivors and affect their life to a large degree. Almost everyone has either lost somebody close knows people who have lost a family member or a friend. As a result, new religious sects are formed. The most unusual is one called the Guilty Remnant. Its members take a vow of silence, wear only white clothes and constantly smoke cigarettes. Why? Well, that's a good question. Another important cult is one started by Holy Wayne who allegedly has the power to cure people of sadness and grief by... hugging them. The impact of these two is heavily felt in the town of Mapleton, NY, where the majority of action takes place. Many citizens have lost their close ones to the rapture and now they are beginning to lose even more family members and friends who join the Guilty Remnant or Holy Wayne's cult. The plot is centered on four people, all members of the Garvey family. Kevin Garvey - head of the family and a charismatic mayor of Mapleton (not a chief of police as in the tv series). His wife, Laurie, has left the family and joined the Guilty remnant, leaving him and his teenage daughter Jill disillusioned and deeply unhappy. Tom Garvey, Kevin's older child, leaves for college but his education is stopped by the rapture. He comes back home and can't find a place for himself in post-rapture world and eventually ends up returning to college, only to join Holy Wayne's cult and cut all ties with his family. Tom Perotta uses these four people to narrate his story from different viewpoints. While not innovative, this mechanism works pretty well in giving the reader a comprehensive view on the effects the rapture had on American society (apart from the disappearance of the Pope, the rest of the world is never mentioned). Stories like that show people tested by extreme circumstances and offer interesting insights into human nature. Four different viewpoints add a lot of dynamism and the book reads well. However, I was a little disappointed as I expected the novel to deal more with the rapture itself. I thought that mysticism connected with it would be a dominant theme throughout this (rather short) novel. 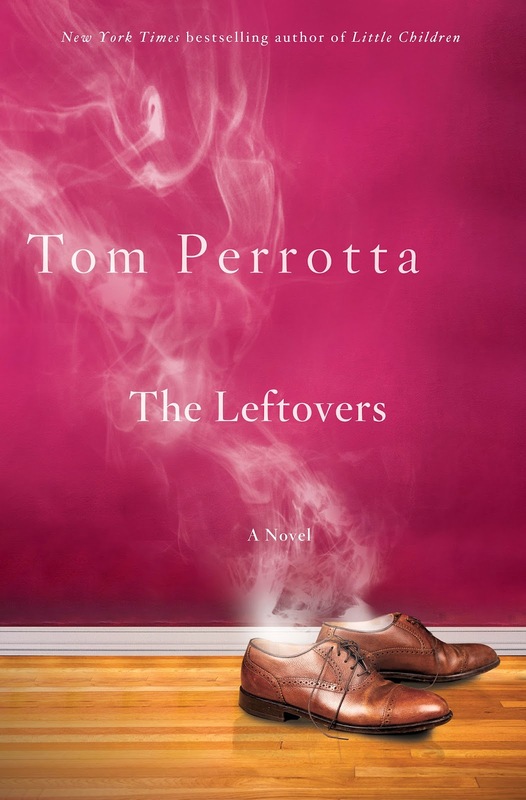 Well, it wasn't as "The Leftovers" are a classical novel that deals mainly with human relations and individual stories of survivors with hardly any supernatural elements. I was a bit disappointed by the ending but that's mainly because I was expecting something completely different from the very beginning. Anyway, the book reads well and I can recommend it to everyone. I can already see that Damon Lindelof is trying to add more mysticism to his tv series and has introduced quite a few more or less significant changes to the story. As I've written, the novel is not a long one and additional motifs are necessary for 10 episodes so it's probably a good thing. Having watched the LOST series I'm a bit concerned that Lindelof might get a bit carried away with explaining the mystery of rapture but I still look forward to seeing his (hopefully different than the one in the novel) take on it.